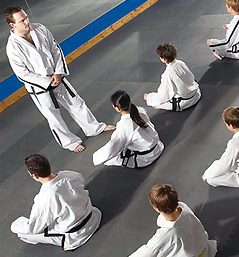 • Taekwondo, meaning "the way of the hand and foot," is a general term used to describe Korea's national sport. 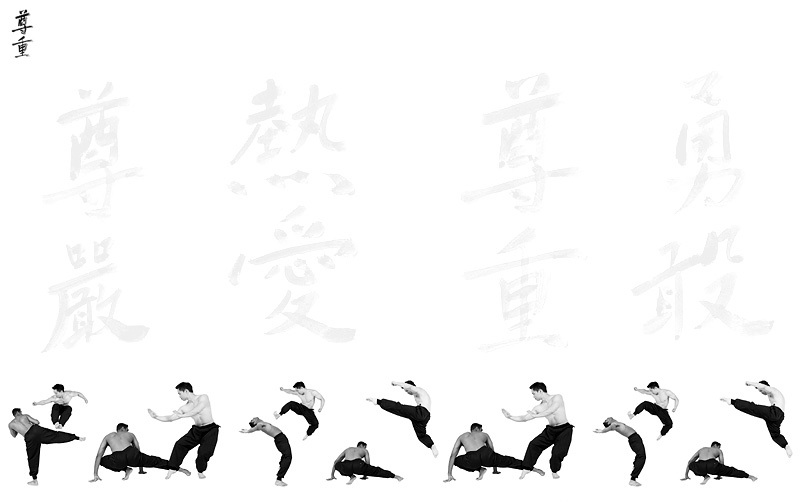 We supplement these punches and kicks with self-defense techniques and overall endurance and flexibility training. • Jiu-Jitsu, meaning the “art of softness”, is a Japanese martial art styles including unarmed and armed techniques. Due to the ineffectiveness of striking against an armored opponent, the most efficient methods for neutralizing an enemy took the form of pins, joint locks, and throws while standing or from the ground. • Muay Thai, is a hard style of martial art from Thailand. Muay Thai is referred to as the “Art of Eight Limbs” because it makes use of punches, kicks, elbows and knee strikes, thus using eight “point of contact”. Muay Thai as it is practiced today varies significantly from its ancestor muay boran, such as in its use of gloves similar to those worn in Western boxing. • Kung fu, referred to as Chinese martial arts or Wushu, consists of a number of fighting styles that were developed over the centuries. Stemming from physical exercises that mimic movements from animals or a history and training method that gather inspiration from various Chinese philosophies, myths and legends. 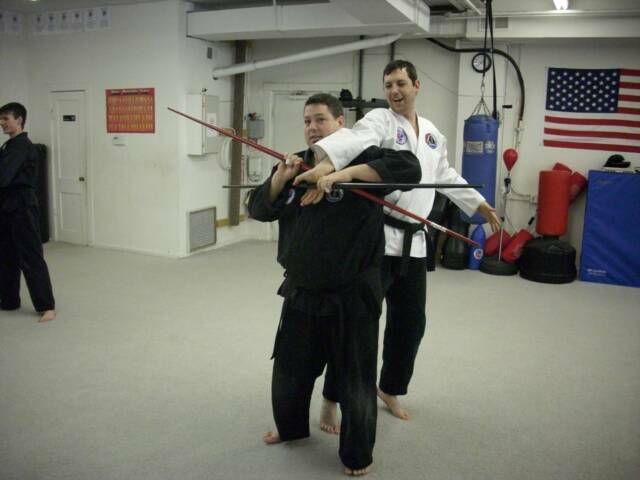 In 2004 representing the United States of America, Master Shawn competed in the World Games in Athens, Greece there he was awarded a silver medal in martial arts. The A.C.K. has been a part of the Council Bluffs community since 1981 and was passed to Master Shawn by his instructor, Master Randy Points in 2005. Master Shawn continues to pass on the teachings and disciplines taught by the masters before him.